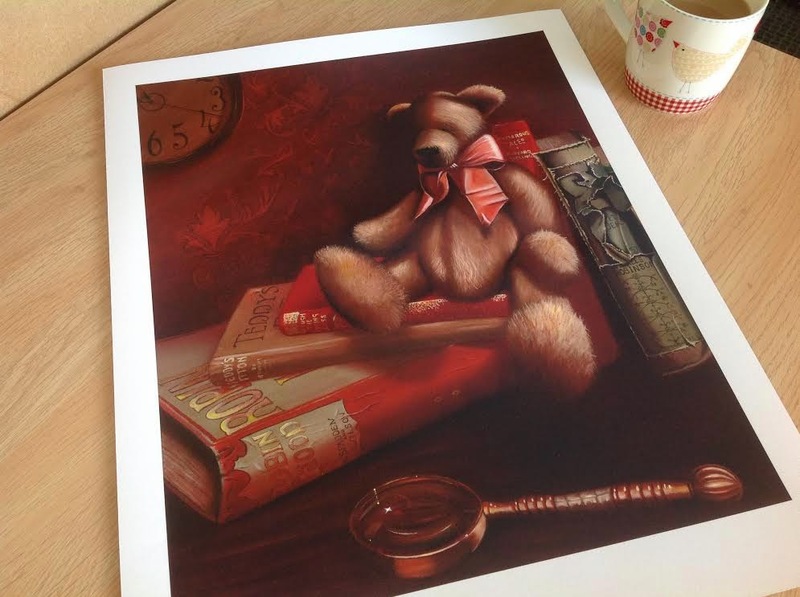 Limited Edition Giclee Print GIVEAWAY, worth £70!! I am SO excited to 'officially' launch my new website! I've been as busy as a Bumble Bee, because not only that, but I am now on Etsy too! Well, everything on the list below is worth between 1-3 draws. Of course you don't have to do all of them, but the more you do, the more chances you get to win! Then all you need to do is leave a comment below, confirming which of the things on the list you have done AND which of the bears is your own personal favourite. Your website is great, Sandra, beautiful layout and colours! And I'd love to participate in the give away, I am already a follower of your blog and your fb page. I'll have to find out how to like your website. Thanks Judy! So glad you are joining in... That's 6 draws! Thanks Nic! Wowza - I make that a whopping 16 draws! Just visited your blog and am very impressed! It is beautiful, and it is completely YOU! Love the "about the artist" segment. Congradulations!!!!! I know you are already a blog follower and you have signed up for my newsletter and also liked my Facebook page... I make that 7 draws! Vous êtes très talentueuse la chère amie... et vos nounours me font tant craquer !... Je m'en vais vous rendre visite. Why thank you my friend!! That gives you 16 draws! Awesome!! Oh yes, you did suggest it was the 'modern twist', I remember, lol! Off to visit your Etsy shop. Congratulations on your website, Sandra! It is done so nicely and I thoroughly enjoyed reading about you and seeing some of your work - I remember so many of them from following along on your blog as you have gone on this art journey. And much luck with the Etsy site! I have no doubt it will be grandly successful! Thanks so much Susan! I hope so! Good luck with Etsy, Sandra.... my friend has a lot of luck with this site! and with your work I'm sure it will be a complete success!!! Good luck with site!!! I love your style of painting! What's the point of a Newsletter?